Home » Professionals » Lloyd M. Friedland, Esq. Lloyd M. Friedland, Esq., has been engaged in the practice of law since 1974. Prior to co-founding the firm of Librett Friedland, LLP, in 1978, Mr. Friedland was a staff attorney with the NassauCounty Legal Aid Society, handling all aspects of criminal defense. Despite having a vast knowledge of the many areas of law he has practiced, the area of matrimonial and family law accounts for a vast majority of the time that Mr. Friedland spends in his daily law practice. During the time Mr. Friedland has been in practice, the area of matrimonial and family law has evolved substantially as a result of the enactment of the Equitable Distribution Law in 1980. Having been involved in the first case reported under the Equitable Distribution Law, Deschamps v. Deschamps, 430 NYS 2d 966 (1980), Mr. Friedland has become an ardent student of the Equitable Distribution Law and all of its ramifications. The practice of matrimonial law can bring out the worst in people as a result of emotions overwriting a practical solution to very difficult problems. 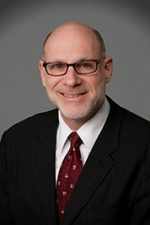 While Mr. Friedland has and will fight for his clients’ rights and has and will litigate every facet of his clients’ cases; nonetheless he is a proponent of a more civilized approach to the resolution of matters, as evidenced by his commitment to the collaborative divorce process for which he has earned certification. Mr. Friedland is a member of the American Bar Association and its Family Law Section, the New York State Bar Association and its Family Law Committee, the Nassau County Bar Association and its Matrimonial Committee, the International Association of Collaborative Professionals, the New York Association of Collaborative Professionals and the New York Family Law American Inn of Court.